For engineers who want to travel and use their education to help others, Engineers Without Borders (EWB) creates opportunities for both. 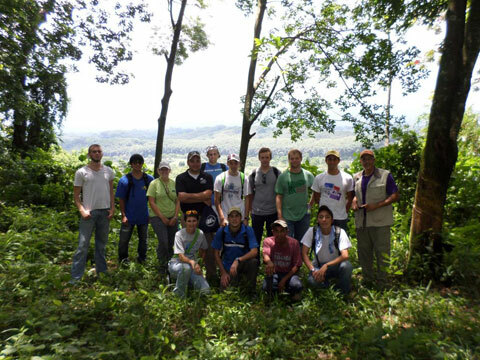 In July, Dan Israel, North Central Operating Group manager, took advantage of this opportunity and travelled to Guatemala with students from Missouri University of Science and Technology’s EWB chapter to help with the largest sustainable engineering project that the group has ever undertaken, an all-new, chlorinated water system that will serve a community of about 2,500. Dan is an adjunct professor for Missouri University School of Science and Technology and is on the board of directors for the Student Design and Experiential Learning Center, which supports opportunities for students to learn through experience. EWB is part of that effort, and Dan has been involved with this water project from its early stages. This was his first visit to the site. The citizens of Nahualate, Guatemala are, as Dan describes, smart and hardworking. Families earn a living working on local sugar cane farms but rarely have opportunities to gain education. The new water system, which requires the design and installation of a 430-foot-deep well, a 15,000 gallon water tank, and a water distribution system, will deliver clean water to any household in the community that wants it. Many families here have never had any sort of plumbing or running water at all, and get their water from local rivers or irrigation canals. After five years of planning and design, students and EWB leaders brought the dream closer to reality this summer as they dug trenches and began installation of PVC pipe that will connect homes, businesses, and other buildings to the water supply. In future trips, EWB will install the pump and chlorination system and start the flow of fresh water to the community. The system, designed entirely by students with oversight from licensed professionals, should be complete by 2014. Another equally important piece of the project is educating the community on maintenance, repair, and management of the new utility. Dan sees this as one of the most important aspects of the endeavor. “It is critical that the local residents learn how to maintain the system. They are eager to help construct it and learn how it will work,” said Dan.